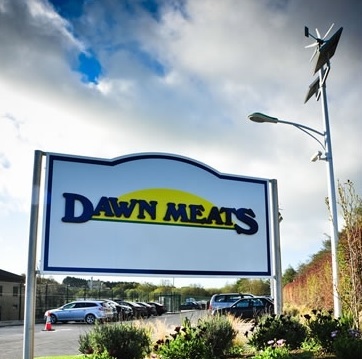 The European Commission’s competition authority is set to examine Dawn Meats investment in a French meat processor. Late last year, major French agriculture co-operative group Terrena announced that Dawn Meats was to take a 49% stake in its meat processing business Elivia. Elivia processes and sells beef, pork, veal and lamb to retail, butchers and collective or commercial restaurants. The draft agreement provided that Dawn Meats – Ireland and the UK’s second biggest red meat processor – would take a 49% interest in Elivia which could be increased to 70% in 2018 or 2019. Terrena had said that once the bodies Elivia of staff issued an opinion on the draft, the agreement would be submitted the competition authorities in the first quarter of 2015 . Announcing the deal Hubert Garaud, President of Terrena, said both companies’ beef activities are complementary in their respective markets. “We also share the same values and the same strategic vision orientated around three objectives: quality, improving performance and the joint development of new markets. “We want to seize today opportunity, decisive for our farmers and our employees to establish, in partnership with the Dawn Meats Group, an important player who will present strong prospects and will have sustainable opportunities in the European market and the world market,” he added. Niall Browne, CEO of Dawn Meats commented at the time that size is a prerequisite to win in international markets where quality, efficiency and traceability of meat are essential attributes. “This agreement will bring our two groups the scale necessary to promote our steady growth in export. We have the will to develop the activity of Dawn Meats both in Ireland and abroad: the combination with Elivia is a great opportunity to achieve this goal,” he said.